"MEN'S SHOES THAT NEVER GO OUT OF FASHION"
There are different types of footwear that over the time vary in their design and evolve towards other trends. Others, despite popularizing and becoming an indispensable model that we must always have in our wardrobe, remain faithful to a style that continues to captivate lovers of men's fashion generation after generation. This is why boat shoes, which have been anchored for a long time in sports activities, are nowadays an essential complement to our most casual looks especially on vacation period or when the temperature rise. 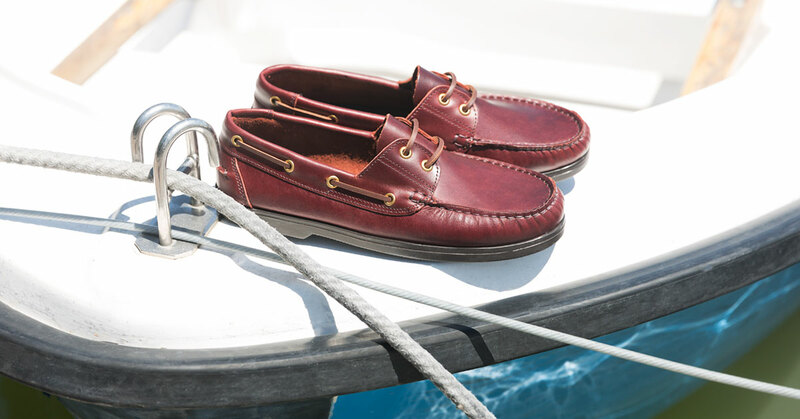 The Acapulco retains the classic spirit of this type of footwear, hence it has been made in a leather of an elegant burgundy color and closed with those cords that go all around it and are visible in sections through a series of metallic rivets. 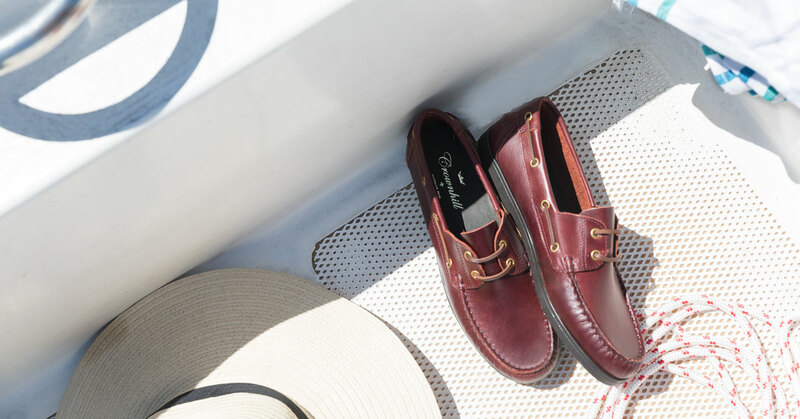 However, if there is one thing that truly defines men's boat shoes, it is definitely their fluted rubber outsole, which provides a fantastic grip on wet surfaces avoiding any slippage. These artisan shoes are made in Spain with traditional techniques and using the Kiowa construction method that is why its lightness and also its great comfort, the foot rests on a single piece of skin that does not have any interior seams. They are lined with natural cowhide and have the Wallace last, which we usually use for our collection of summer shoes because it’s got a rounded shape and low instep greatly and this facilitates to put the shoe on and provide an excellent fit. Atendimento super-rápido. Desde o pedido até à recepção, menos de 24 horas. Entrega efectuada onde pedi,e até com alteração do local de entrega já durante o percurso. Gostei. Profissionalismo. Fiquei cliente e espero voltar em breve ! Embora fora da época foi um bom aproveitamento da oferta. .
No teste nota-se conforto e confecionado com materiais de qualidade. Nota-se uma escolha de boa matéria prima, bons acabamentos.